This year we’ve seen plenty of high- end smartphones released. Samsung’s Galaxy S6 family seems to be quite disputed this year. People either love the Galaxy S6 devices or hate them. Although the main focus falls on the basic Samsung Galaxy S6, today we thought of analyzing its big brother, the Galaxy S6 Edge Plus. And what could we compare it with if not with the LG V10 which was released this month? The two devices share the same screen size, so we wanted to see which one has the better range of specs. 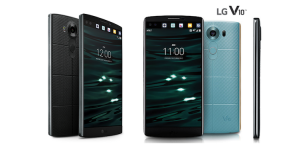 LG released its V10 model at the beginning of October. It was kind of a surprise because we didn’t have too many information leaked ahead of time. Of course, its main feature at first glance is its double display. The body of the LG V10 is also appealing. It’s not only quite big, it’s also heavy, but still has an elegant look to it. The curved edges on the upper and the lower side of the LG V10 really turn the smartphone into an eye- catching device. It lacks any physical buttons on the front face and it has no capacitive buttons either. All the buttons of the LG V10 are situated on the back panel of the device. The start button also hosts the fingerprint sensor. 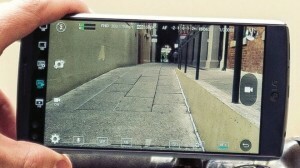 What really differentiates the LG V10 from other smartphones is its dual display and dual front facing camera systems. The 5.7- inch display of the LG V10 didn’t seem to be enough, so LG also equipped it with a 2.1- inch secondary display as well. The purpose of this second display is to showcase the weather, time, battery and date when the main display is off. When it is turned on, the secondary display can have a number of uses. It can show app shortcuts, notifications and a whole bunch of other stuff. This way no action of the users will be interrupted by different kind of notifications. They will simply appear on the secondary display which is situated above the main one .The main display features a 1440 x 2560 pixels QHD resolution with 515 ppi pixel density. The secondary camera’s pixel density is quite close to this, so users wont really notice a difference. At least not a disturbing one. 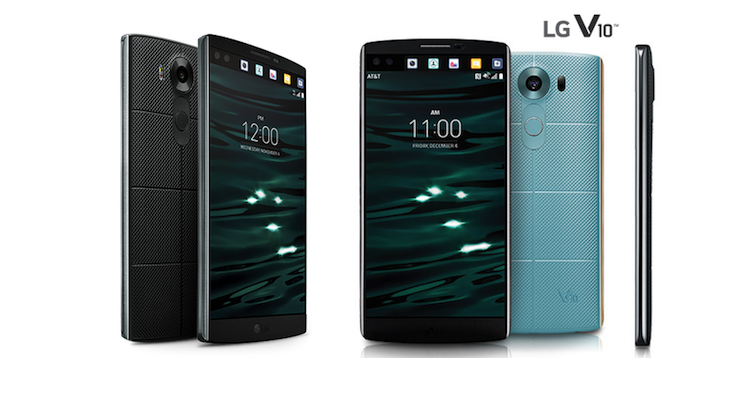 The LG V10 is powered by a hexa- core Qualcomm MSM8992 Snapdragon 808 chipset. Foour of these cores are clocked at 1.44 GHz while the other two are clocked at 1.82 GHz. The chipset is backed up by an Adreno 418 GPU. The LG V10 includes 4 GB of RAM and up to 64 GB internal storage which is further extendable due to the microSD card slot. 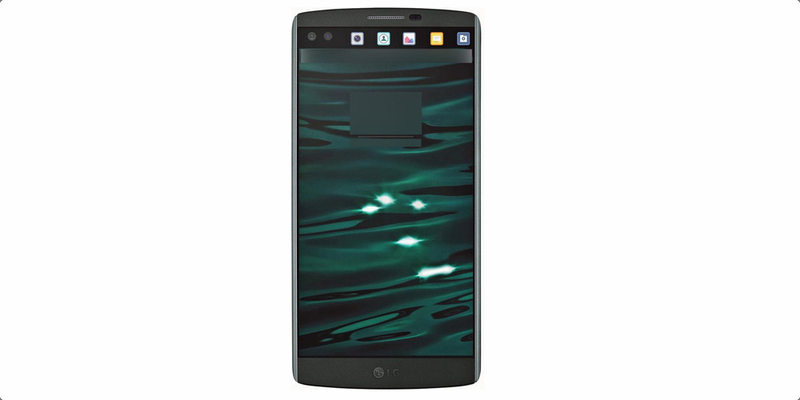 The LG V10 also features a fingerprint scanner which enhances the security of the device. The battery of the LG V10 is a 3000 mAh one. What is not that custom anymore about this battery is that it is removable so, in case users run out of juice they can always change the battery with a spare one. The LG V10 has a great 16 MP camera sensor with an f/1.8 aperture lens, laser auto-focus and optical image stabilization. Besides the auto picture mode, the LG V10 allows its users to manually control the 16 MP camera and manipulate ISO, shutter speed, quality and more. If you don’t really know a lot about professional photography you can still stick to the auto setting and the LG V10 will deliver great quality pictures. Although the back camera of the LG V10 is a great one, the front facing cameras are a lot more interesting. We don’t see smartphones that sport two secondary cameras every day. The role of the two 5MP sensors is to create wider angles and thus deliver better quality pictures. 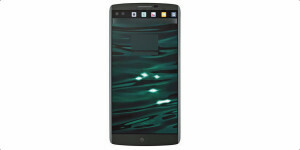 As for the software part, the LG V10 runs on LG G UI that is based on Android 5.1.1 Lollipop. Since this is not the stock Android it might be a little laggy, but LG has pulled it off until now so we don’t think there should be a problem with the LG V10 software wise. Overall we can say that the LG V10 is a great smartphone with unique features and a pretty impressive spec sheet. It doesn’t only have an appealing look, it is also pretty fast and powerful. It is interesting to see new features, like the dual display and the dual front facing camera system. VIDEO – 2160p@30fps, 1080p@60fps, optical stabilization, HDR, stereo sound rec. Samsung released the Galaxy S6 Edge Plus only two months before the LG V10 was launched. Just like the LG V10, the Galaxy S6 Edge Plus is also a big smartphone and has a characteristic design feature: its edge, as its name already suggests it. The body of the Samsung Galaxy S6 Edge Plus is made of metal and glass which really makes it look more premium than the silicone cover of the LG V10. It’s simpler and in my opinion, a little more elegant also. 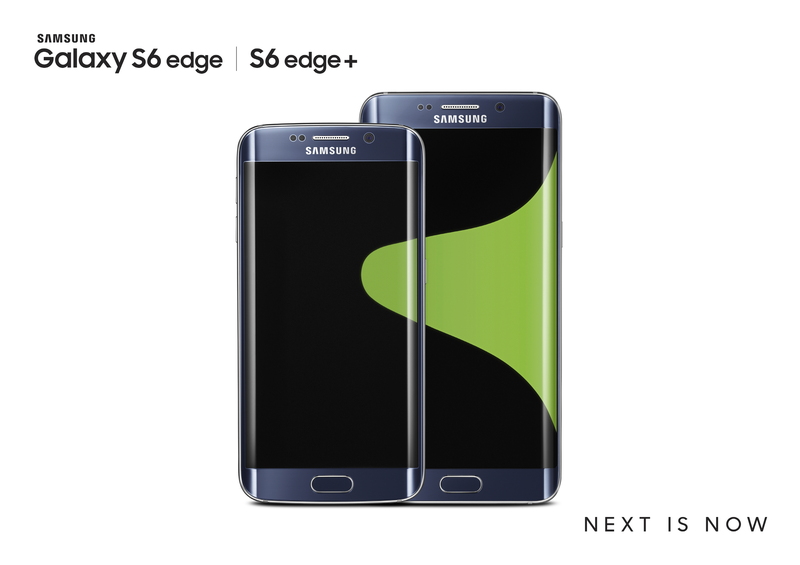 The Galaxy S6 Edge Plus is defined by its curved display that extends over the sides of the device. The edge can be customized by the user to display five important contacts, five apps, colors when a contact calls, and also notifications and a night clock. The Galaxy S6 Edge Plus naturally features the characteristic home button on the front panel, which also hosts the fingerprint scanner. The physical button has a capacitive button on both sides. These are meant to help users access certain features and return to previous pages when needed. The left capacitive button is the one responsible of showing the latest apps and features used. The display of the Galaxy S6 Edge Plus is similar to that featured by the LG V10. It sports the same 1440 x 2560 pixels QHD resolution and has a slightly higher, 518 ppi pixel density which should make images clearer. This is not necessarily an impressive difference since human eyes can’t really distinguish it. Probably due to the edges of the Samsung device, its screen- to body ratio is also higher then the LG V10’s. The chipset of the Samsung Galaxy S6 Edge Plus is faster then the one found in the LG V10. The Samsung device has a Exynos 7420 chipset and octa- core CPU which is composed of four cores clocked at 1.5 GHz and four clocked at 2.1 GHz. These are backed up by the Mali-T760MP8 GPU. The Galaxy S6 Edge Plus also includes 4 GB of RAM, just like the LG V10. Storage- wise the Galaxy S6 Edge Plus is weaker. It only offers up to 64 GB internal storage with no possibility to extend it. The fingerprint scanner is a common feature of the two devices. On the Samsung it can be used for security purposes as well as for Samsung Pay feature. The Galaxy S6 Edge Plus has the same 3000 mAh battery, but in this case it is non- removable. Coming to the camera section, we notice that the back camera of the Samsung Galaxy S6 Edge Plus is similar to that of the LG V10. It has a 16 MP sensor rear camera with a fast f/1.9 aperture that can let lots of light in for shots in daylight or low-light. It also offer optical image stabilization alongside autofocus and face-detection which both work really well. Although the automatic shutter speed is set quite low, there is always the Pro feature that allows users to amnually set the cameras feature as they like. The rear camera of the Galaxy S6 Edge Plus comes with a number of options, such as HDR, balance shadow and highlight detail, GPS tagging, composition grid lines, and filter effects. Both smartphones can record videos at up to 4K resolution. The front facing camera is a single one on the Galaxy S6 Edge Plus. It is able to capture 1440p@30fps video, supports dual video call and features Auto HDR. Just like the LG V10, the Galaxy S6 Edge Plus also runs on a modified Android 5.1.1. In this case it’s the TouchWiz UI which is snappier than the platform the LG V10 runs on. 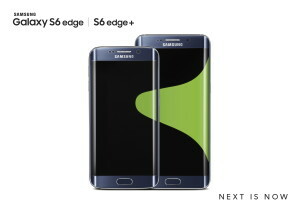 The Galaxy S6 Edge Plus is definitely a unique smartphone due to its dual edge design. It is quite eye- catching. Literally. It is a beautiful device packed with high- end features. Except the internal storage. And maybe the non- removable battery is also a deal braker for some of us. 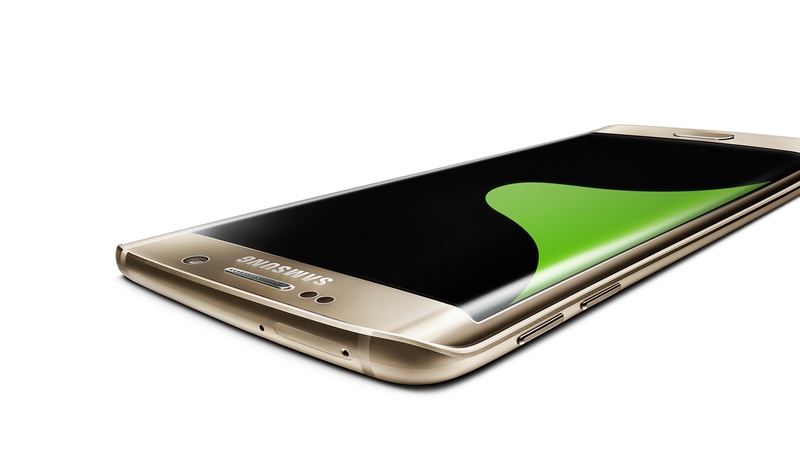 But all in all we have to admit that the Galaxy S6 Edge Plus is a very good smartphone. VIDEO – 2160p@30fps, 1080p@60fps, 720p@120fps, HDR, dual-video rec.,. Since both smartphones have their unique characteristic it’s practically impossible to say which one is a better phone. For some people the dual screen of the LG V10 would probably compensate for the lower power. For others the more powerful chipset of the Galaxy S6 Dual Edge’s and its great curved screen would make up for the smaller storage and non- removable battery. It really depends on what every one of us likes most. They are situated in the same price group, so this probably won’t be the deciding factor if you have to choose between the LG V10 and the Galaxy S6 Edge Plus. You only have to consider which one offer you more of what you need.